So just how many of the diagram 31 wagons are going to be complete by the time that Angels Lane loco yard makes a first appearance in October 2014? You could always smack my wrist and delete the comment. On the other hand, nothing like working to a deadline. The coal wagon post is rather nice, particularly the Loughton photo before the tubes. What about a GER official to compare with part 5? Now maybe that might have been a better comment to post! 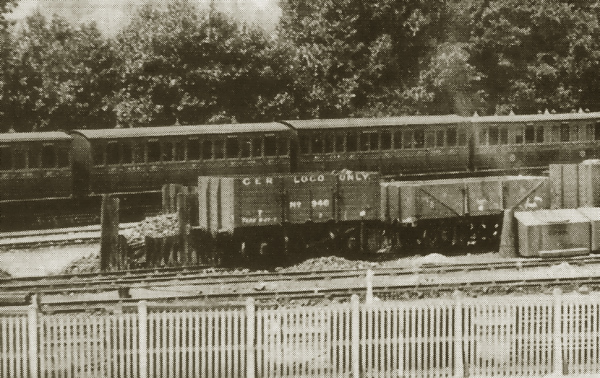 I have a (fairly well known) photo of T7 No 84 in Johnson condition and livery (so circa 1875) and visible in the background are a couple of loco coal wagons, one of which is dumb buffered. They are ideal for me as I’m doing the Johnson era but are they any use to you or are they a bit early? I’ve gone back an had a look at that photo – my records show I have two copies, but both have been trimmed, so any chance of a copy of yours please?